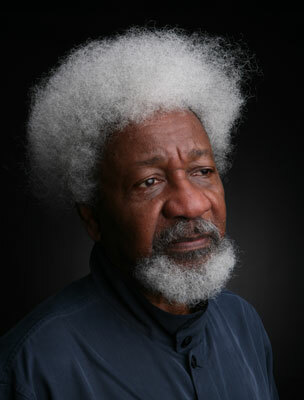 The Noble Laureate, Prof. Wole Soyinka yesterday lamented the insecurity in Nigeria and blamed it on lack of genuine leadership. Speaking after receiving the honourary award of the university of Ibadan, he said if the country had genuine leadership, Nigerians would not be at the mercy of Boko Haram. Soyinka who specifically asked the representative of President Goodluck Jonathan at the award ceremony, the Minister of Education, Mallam Ibrahim Shekarau to deliver his message, cautioned the president on the huge amount of money being spent on sports. While noting that the president had spent so much on sports, he suggested that more money be allocated to education and enlightenment. He said that Nigeria was covered with cloud of shame and dereliction of responsibilities, adding that what was happening in institutions of learning in the north could happen in any part of the country. “Something happened. It is what we are doing today. Yes, it is a festive occasion. But, we are here and we know we are sitting under a cloud, it’s heavy cloud; it’s cloud of embarrassment of shame, a feeling of dereliction or solemn irresponsibility towards the children. “We are sitting here under a cloud of impotence of a calamity that was not without notice. “You all know why we are all here, it is in the course of learning and till death, we will not stop learning. It is all about learning and that is what life is all about. We never stop learning,” he said. According to him, this cloud is made up of a sense of humiliation. He lamented that school children were sent out on errand and they did not return, saying “the errand we sent is what we are celebrating today. “This is what creates this festive atmosphere. Though, it is a festive mood, but our young protagonists went on that errand and they did not come back; we gathered them in preparation for this day and they never came back,” he added. President Jonathan who was represented by the Minister of Education, Malam Shekarau, described education as the bedrock of nations’ development. , saying the federal government would give necessary support to ensure provision of qualitative education at all levels through effective teaching, learning and provision of infrastructure. To this end, he said government had increased budgetary allocation to education with a view to ensuring accelerated development. While noting that funding of education should not be left for government, he called on the public sector to contribute to the proper funding of education in Nigeria.